DUBUQUE — Sometimes being a good steward of God’s creation is messy work. Just ask any member of the Church of the Resurrection’s “Green Team” that was assigned to the cafeteria during their recent parish festival. Wearing hazard green t-shirts and rubber gloves, a dedicated group sorted through pans of waste coming off the tables during lunch. Behind a black screen, parish youth brought tray after tray to the volunteers, who picked out foods scraps like half-eaten ears of corn and other items and put them into the appropriate waste containers. Over the course of many hours, they processed thousands of pounds of waste by hand, separating compost and recyclables from trash. “It’s a dirty job, but somebody’s got to do it,” quipped Elana Dominguiz, one of the volunteers. “We have bins for liquids, trash, milk cartons and butter,” explained Green Teammate Grace Stoffel. 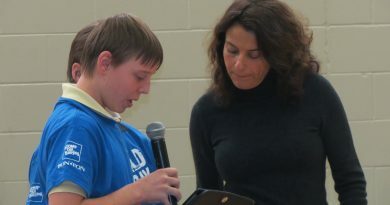 For Resurrection Parish in Dubuque, the challenge to be good stewards of the earth was taken up many years ago. 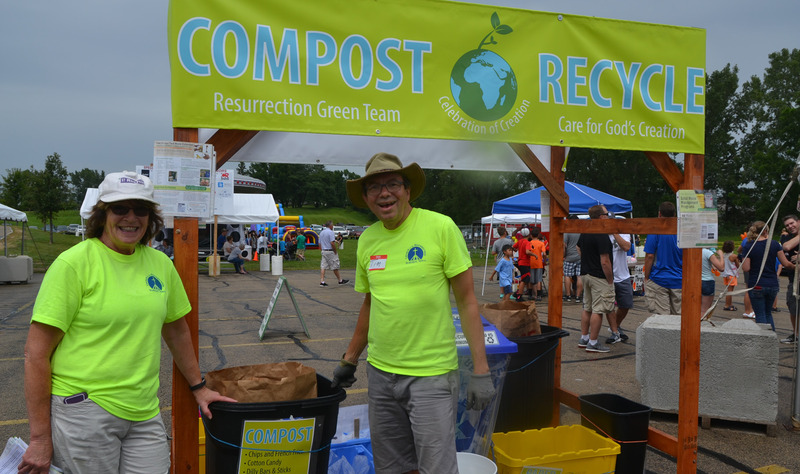 Tim Moothart, a member of the parish’s environmental stewardship committee, and his wife Mary were part of the leadership of the Green Team at the Aug. 20 festival, which serves 2,300 families and is one of the biggest events of its type in the archdiocese. “The banner event for our Green Team is here at the festival,” said Moothart, who has been involved with environmental stewardship at the parish for about 15 years. Aside from the activity in the cafeteria, the team staffs recycling and composting stations outside around the festival. The team also collects paper and cardboard used at all the booths and stations on the property during the event. By the end of this year’s festival 3,000 pounds of “trash” were collected, according to Moothart. Of that, 2,020 pounds were sent to be composted, mostly food scraps and compostable dinnerware. About 750 pounds of waste were recycled, such as paper, cardboard and plastic.) Only 230 pounds were taken to the landfill. This is a drastic shift from 10 years ago when the festival took all 4,000 pounds of its waste to the landfill. “I believe God has given us this wonderful creation, and it’s up to us to protect it and not to destroy it,” said Moothart. For the parish, stewardship of God’s creation is not a one-day event, however. 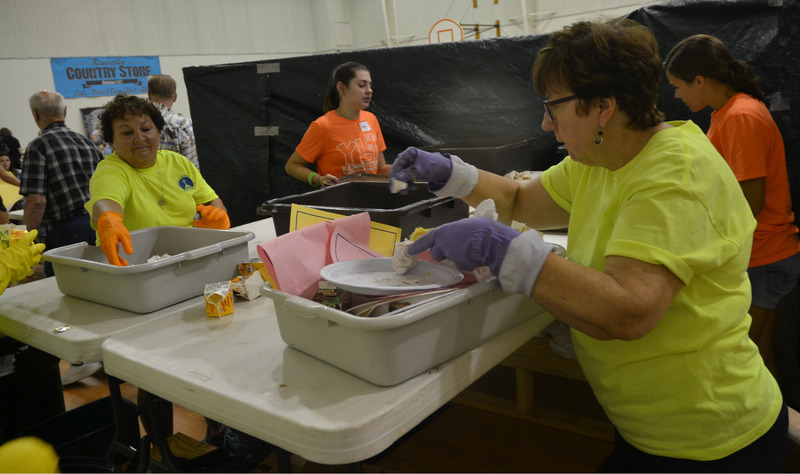 On the rest of the days of the year, the parish engages in recycling and composting throughout its school and church buildings, and parish leaders eliminated items like Styrofoam and plastic water bottles. Parish members Kim Glaser and Judy Giesen are also part of the stewardship effort, and they have maintained a relationship with Iowa Interfaith Power and Light, an organization that assists churches with going green. Because of the work of its members, Church of the Resurrection received a 2017 Climate Champion Award at IPPL’s annual awards reception on Sunday, May 7. 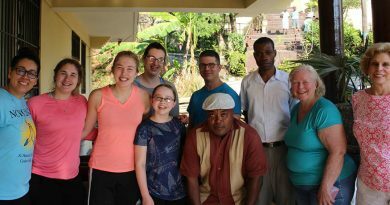 At a time when Catholics worldwide are becoming more aware of making care for creation part of their faith life, Pope Francis has asked the faithful to lift up their voices to the Creator. In a letter announcing the annual World Day of Prayer for Creation earlier this month, Pope Francis joined the Catholic effort to a similar day of prayer the Orthodox Church has done on Sept. 1 for some time. Aside from their efforts with the Green Team, both Tim and Mary Moothart have also implemented measures to care for the earth at home, such as installing a solar power system, driving a hybrid vehicle, recycling and composting. 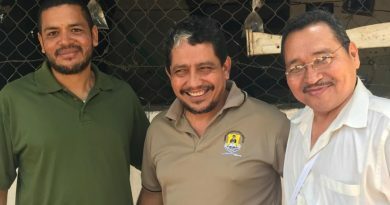 They believe environmental stewardship is key to their spiritual lives as Catholics and that of their parish community. Tim is happy that the pope has declared the Day of Prayer for the Care of Creation and plans to take part. He thanked all those who made Resurrection’s 2017 festival as green as possible. For more information on Church of the Resurrection’s environmental stewardship effort, visit http://res-dbq.org. Information on Iowa Interfaith Power and Light is at: iowaipl.org. To read the U.S. bishop’s statement on the World Day of Prayer for the Care of Creation, visit usccb.org/issues-and-action.